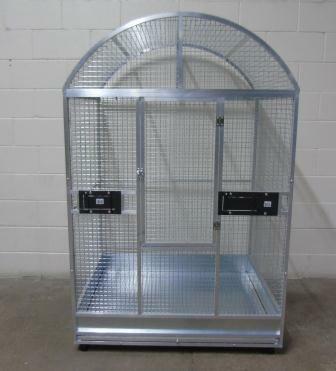 2017 has seen a new concept indoor cage design show cased at the start of this year with the unveiling of our very own design of indoor aluminium cage. 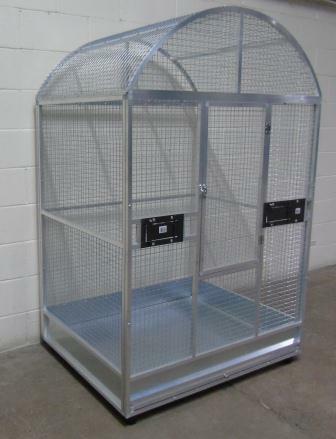 This clean line, light weight and very modern cage not only fulfils owners desires to have a cage that does not dominate their visual living space by ensuring it is easier on the eye, yet still provides their beloved bird with lots of space, none rusting, light weight but sturdy accommodation. 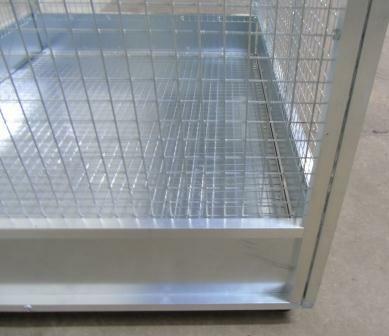 The gauge of the mesh can easily be made to suit the specific species of bird. 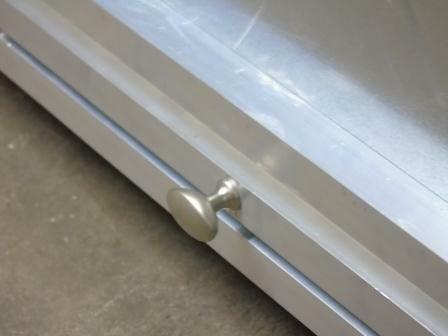 Keeping the ledges to the exterior of the cage ensures that easy cleaning is ensured with none of the annoying ledges of other designs that seem to enable dropped food and excrement places to land. 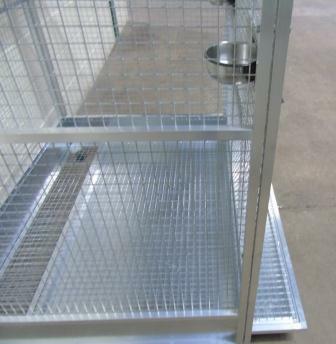 Swing feeders have been added at the front with the intention of not only ensuring owners easy access as well as your feathered friend, but also means no more inability to access food bowls by struggling if the cage is to be alongside a wall or another cage. 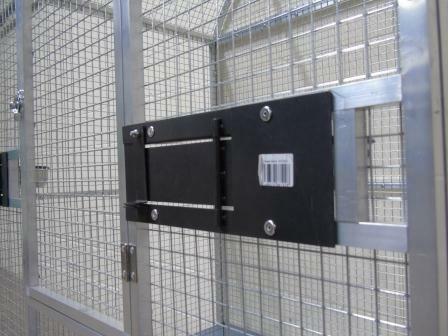 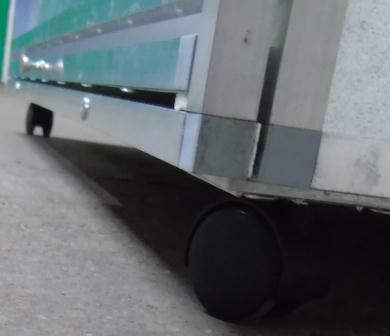 Easy to manoeuvre with the addition of wheels along with the aluminium has enabled this design to be easy for everybody of any physical ability to move the cage should they desire. 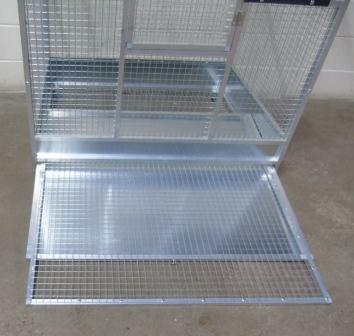 Base grill sits above the catchment tray and either can be slid out for cleaning without the fear of the cage no longer being secure.